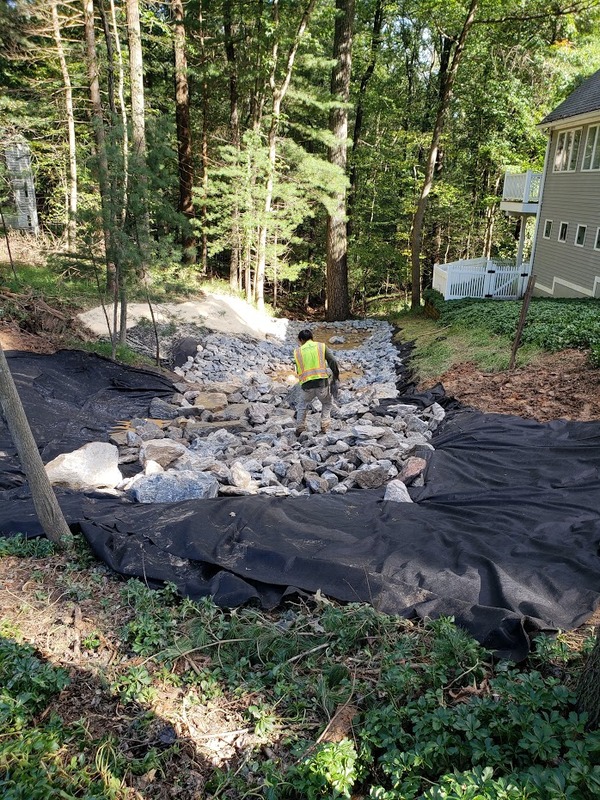 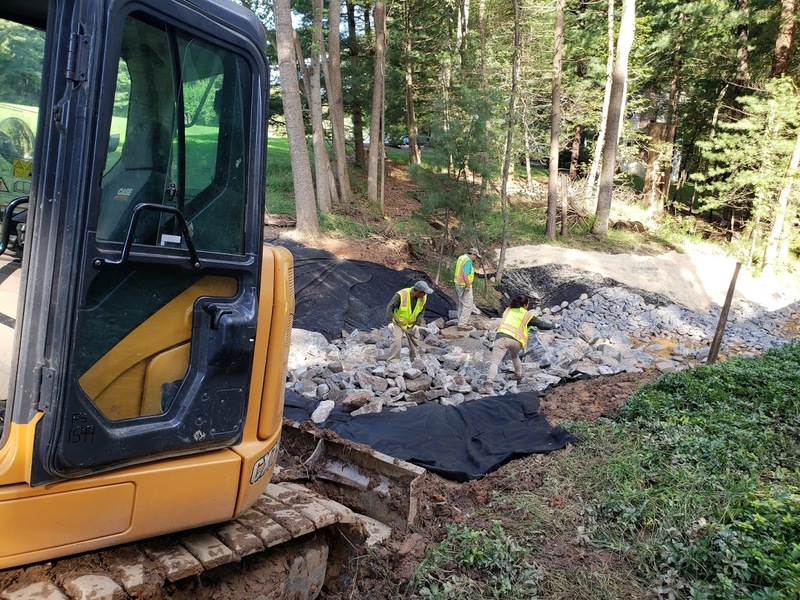 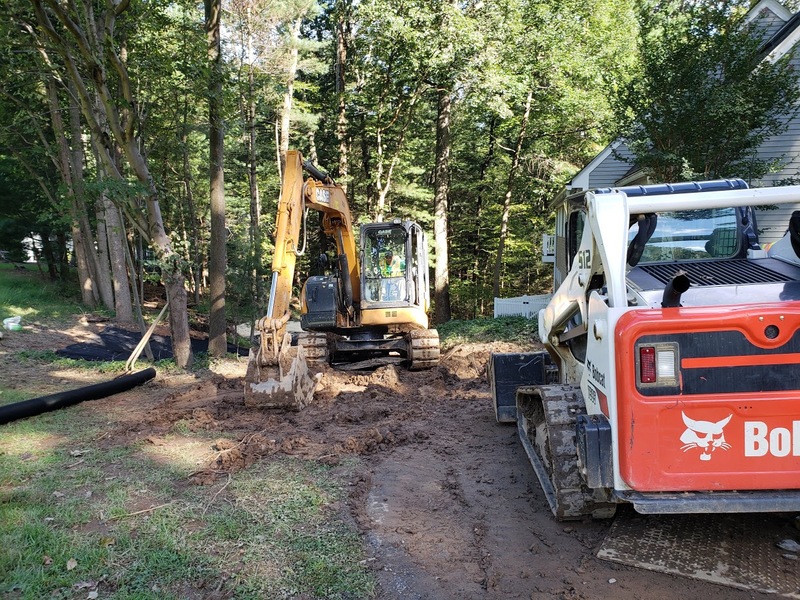 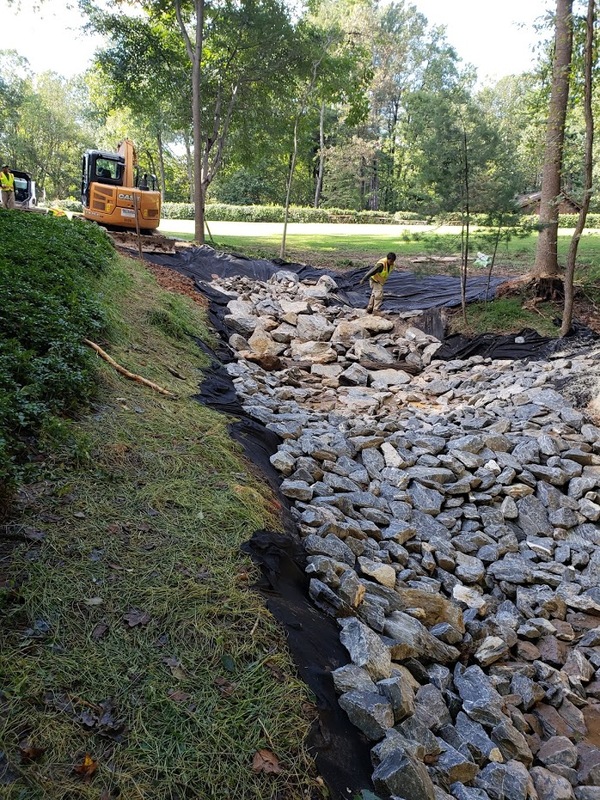 With the record amounts of rainfall we have experienced over the past several months, AME has been helping our clients both residential and commercial, to address their erosion and water problems. 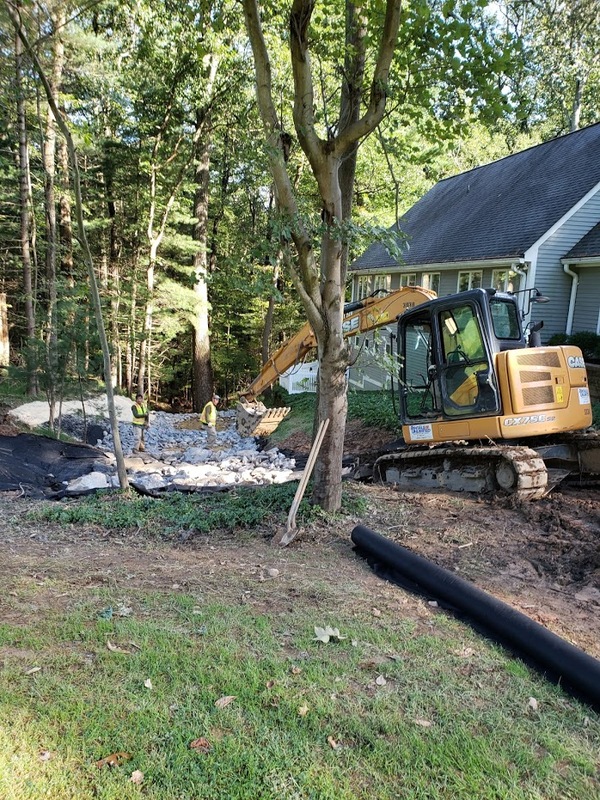 This project involved a heavily eroded channel that was close to the foundation of this home, and therefore needed to be fully stabilized to prevent further erosion in the future. 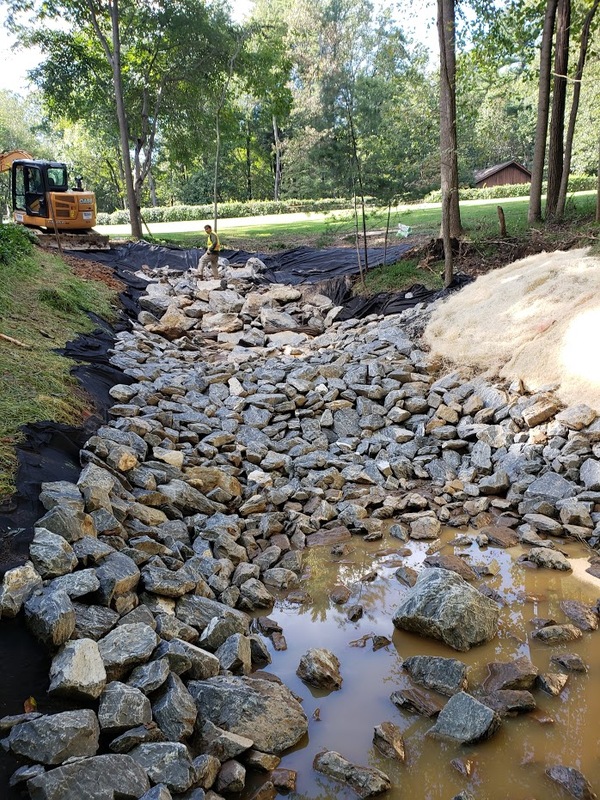 This was a design/build project where used the step pool system to slow the water down, allow for percolation into the sub-soil, and provide a long term stabilization solution.